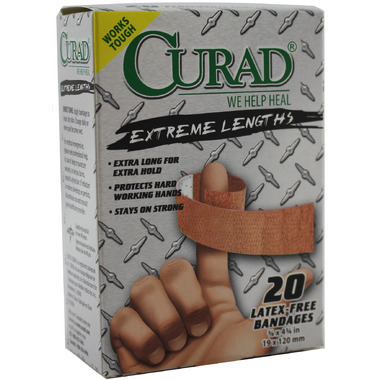 Curad Adhesive Bandage Extreme Length works tough! With this extra long bandage comes extra hold, providing protection for hard-working hands. Curad Adhesive Bandage Extreme Length stays on strong. Directions: Apply bandage to clean, dry skin. Change daily or when pad becomes wet.